The 20 Watt LED Driver with 6-way port is suitable for use on almost all LED products. 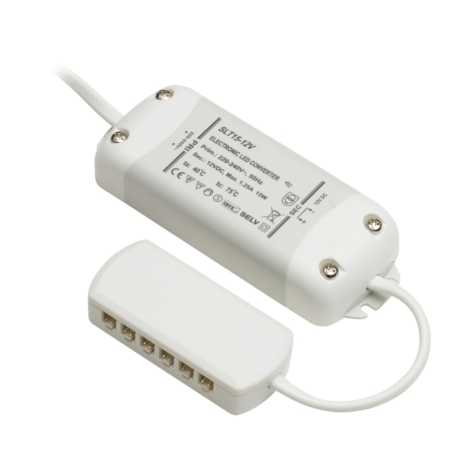 It offers protection from electric shocks and comes with a 1.5m mains cable so that it can reach fixtures that are far away. It is available in a white finish so that it looks subtle and does not detract from the lighting itself. The use of an LED driver is for when you have multiple lights, as it can make the voltage safer, protecting you from shocks and explosions. I appreciate the driver comes with ports but are the plugs for the ports supplied to connect lighting to them ? Hi, does it come supplied with plugs for the driver outlets ? Can you confirm the correct wattage please?